Which Waterproof Action Camera Is The Best For You? Hi and thanks for checking out my Contour Roam review. The Contour Roam is Contour’s latest compact, hands-free action camera that is simple and easy to use.. and is very reasonably priced. Ready to Buy A Contour Roam Now? 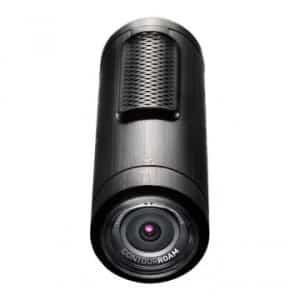 Click here to grab the new Contour Roam for just $199 from PointofViewCameras.com and receive free shipping to USA and Canada (UK orders also accepted). Or, just want to read the review? Sure, sit back and see what this new compact HD camera has to offer. 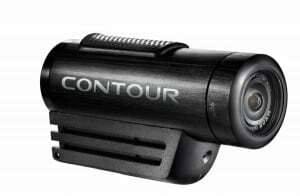 They’ve simplified this camera down from the former models; Contour Plus and Contour GPS. The Contour Roam is made especially for those who don’t need (or want to pay for) all the bells and whistles and just want to shoot high quality HD video easily and quickly. How many times have you missed a scene you wish you could have filmed only to see it ended before you even got your camera on? 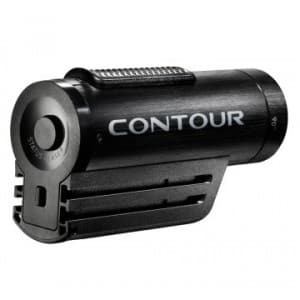 This new one from Contour goes from off to record in just 2 seconds with the flick of one switch. But that’s just one of the cool features of the new Contour Roam. Read the rest of my review to see what other cool tricks it can do better (and some worse) than other action cameras. The Contour ROAM can shoot full HD video in 1080p, Tall HD which is 960p (1280 x 960) and then Original HD 1280 x 720) resolution. You have the choice between only two frame rates for any of the HD settings which are 30 or 25 fps (frames per second). There is no 60 fps at 720p like a lot of the leading HD action cameras come equipped with these days. But then again, those cameras aren’t under $200. The 170 degree wide angle lens lets you capture all of your adventure on the screen. The lens also rotates 270 degrees at the nose of the camera so it’s capable of being able to mount your camera upside down or on its side but still have your shot up the right way. What’s different about the ROAM is the battery set up they’ve gone with. Instead of a separate, replaceable battery, they’ve gone with an in-built Lithium-Ion battery. For what reason they did this, I’m not sure but this may prove a little inconvenient for some as the option to carry a spare battery on long adventures is important. Another new advancement for the Contour ROAM is the new aperture setting which is said to improve video quality in low light. Like to take a bath with your new action camera? The aluminum body is waterproof up to 1 meter for 30 minutes. No worries about splashing or dunks in water. The camera is sealed with a rubber gasket to protect the electronic insides. If you are into water sports and need to go deeper than 1 meter, the Contour Roam waterproof case (sold separately) is good for 60 meters. You’ll notice that the Contour ROAM is tiny and looks very sleek. Definitely a smoother looking design to it’s older counterparts. This new model weighs a tiny 5.1 oz / 145 grams and is small enough to fit in your front jeans pocket. No worries about it getting in the way or weighing you down when mounting it thanks to it’s small compact design. The signature on/off switch is on the top of the unit and is now rubberized for more grip and less slipping when you want to turn it on or off in a hurry or in wet conditions or are wearing gloves. Two bright red lasers shoot out the front for you to assist when lining up your shot. However, they aren’t so bright as to blind you. They can be a little hard to see in bright light. You now get the option to screw in a tri-pod to the underside of the camera as there is now a fitting for that with this new camera. At the back, you’ll see a big button which when pressed to open, reveals your MicroSD card slot, USB port, reset button if your camera is stuck in record mode and a format button to format your MicroSD card. There is no internal memory but you can use a MicoSD card up to 32GB in size and this puppy can store about 1 GB of video footage for every 30 minutes of recording on average. Battery life is an impressive 3.5 hours on a single charge. Recharging is done by USB cord which is included in the box when you buy the Contour Roam. The ContourROAM has many pros. For starters, it’s a HD action camera for less than $200! At this affordable price, you can use it and abuse it anywhere and not worry about damaging a camera twice the price. It’s super small and light, and comes with a bunch of cool mounts you can use for just about any application you can imagine. It has a screw mount so you can even adapt it to a tri-pod or suction mount. There are a couple of downsides to the ContourROAM however. Battery life is long about 3.5 hours) which is better than the industry average, but remember that it uses an internal battery. So you won’t be able to simply swap over the battery when it runs out. This may be something to think about if planning a long day of activity that you plan to record. This other down-side is that there in no support for 60 frames per second. This is only a downer if you want to replay and create videos with slow-motion and not get choppy footage. Here’s a video made by the Contour crew that gives you a more life-like feel for the camera and what it can do. No question that the quality of this new camera is top of the line. If you’re looking for a durable, cheap HD action camera to take with you anywhere and record you and your friends anytime, then you can’t go past the Contour ROAM. It’s perfect for the beginner action camera enthusiast or the seasoned pro who wants to carry around a spare HD action camera in their bag of goodies. It’s simple enough for anyone to have fun with and produce professional quality videos. The Contour ROAM is on sale for the great affordable price of just $199. This attractive low price is one of the reasons the ROAM is quickly becoming the favorite action camera for all types of users – from amateurs to pros! For $70 more, you could get a GoPro naked Hero but you’ll still need to buy extra mounts and cases to match what you get with the Contour ROAM. In my opinion, the Roam is great value and you can have a lot of fun with it right out of the box. Includes free shipping to USA and Canada. Also you get a free filming guide to teach you how to create cool videos using your new camera! UK customers are welcome to buy from their sister site which is accessible from the link above. Thanks and I hope you enjoy your new Contour ROAM!